Johns Hopkins researchers say they have developed a technique that can predict with 95 percent accuracy which stroke victims will benefit from intravenous, clot-busting drugs and which will suffer dangerous and potentially lethal bleeding in the brain. Reporting online May 15th 2014 in the journal Stroke, the Johns Hopkins team says these predictions were made possible by applying a new method they developed that uses standard magnetic resonance imaging (MRI) scans to measures damage to the blood-brain barrier that protects the brain from drug exposure. A release from the university explains that if further tests confirm the method's accuracy, it could form the basis of expanded and more precise use of intravenous tPA, a drug that is currently limited to patients who are within 4.5 hours of a stroke onset, in order to have the best chance of dissolving the blood clot causing the stroke without risking additional damage. If doctors had a safe, reliable tool to determine which patients could still be safely treated outside that window, more patients could be helped, the researchers say. The release quotes says study leader Richard Leigh, M.D., an assistant professor of neurology and radiology at the Johns Hopkins University School of Medicine, as saying, "If we are able to replicate our findings in more patients, it will indicate we are able to identify which people are likely to have bad outcomes, improving the drug's safety and also potentially allowing us to give the drug to patients who currently go untreated,"
Leigh's method is a computer program that lets physicians see how much gadolinium, the contrast material injected into a patient's vein during an MRI scan, has leaked into the brain tissue from surrounding blood vessels. By quantifying this damage in 75 stroke patients, Leigh identified a threshold for determining how much leakage was dangerous. Then, he and his team applied this threshold to those 75 records to determine how well it would predict who had suffered a brain hemorrhage and who had not. The new test correctly predicted the outcome with 95 percent accuracy. The blood-brain barrier is a unique shield of blood vessels that limits the passage of molecules from the bloodstream into the brain. Without it, the brain is open to infection, inflammation and hemorrhage. 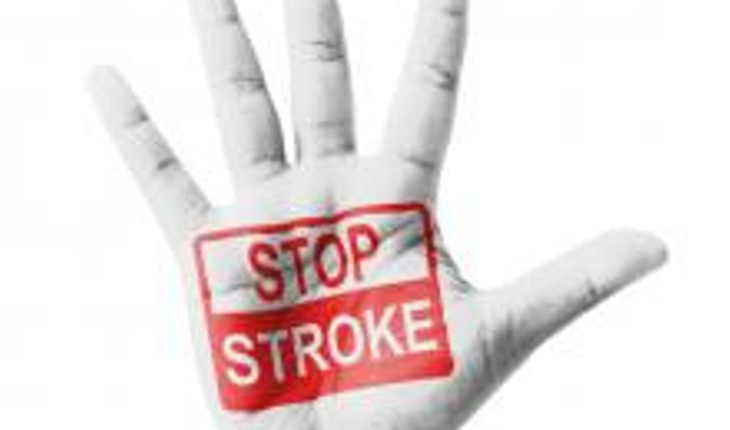 Ischemic stroke patients are at risk of bleeding into the brain when there is damage to the barrier. In an ischemic stroke, a blood clot is stuck in a vessel, cutting off blood flow to a portion of the brain, which will begin to die the longer the clot remains. When patients come to the hospital within a few hours of suffering an ischemic stroke, doctors quickly move to give intravenous tPA, hoping that it will dissolve the clot without causing additional damage. In roughly 30 percent of patients, receiving tPA in a timely manner provides great benefit. In some people — roughly 6 percent of stroke patients— there is already too much damage done to the blood-brain barrier, and the drug causes bleeding in the brain, severe injury and sometimes death. But doctors haven't known with any precision which patients are likely to suffer a drug-related bleed and which are not. In these situations, if physicians knew the extent of the damage to the blood-brain barrier, they would be able to more safely administer treatment, Leigh says. Most stroke patients, Leigh notes, don't get to a hospital within the window for optimal tPA use, so physicians don't give them tPA, fearing dangerous complications. Sometimes, more aggressive treatment can be attempted, such as pulling the clot out mechanically via a catheter threaded from the groin area or by directly injecting tPA into the brain. Typically, physicians do a CT scan of a stroke victim to see if he or she has visible bleeding before administering tPA. Leigh says his computer program, which works with an MRI scan, can detect subtle changes to the blood-brain barrier that are otherwise impossible to see. If his findings hold up, Leigh says, "We should probably be doing MRI scans in every stroke patient before we give tPA." The biggest obstacle in successful stroke treatment has always been time, Leigh notes. The longer it takes for a patient to be treated, the less chance of a full recovery. An MRI scan does take longer to conduct in most institutions than a CT scan, Leigh concedes. But if the benefits of getting tPA into the right people — and most importantly, protecting the wrong people from getting it — outweigh the harms of waiting a little longer to get MRI results, doctors should consider changing their practice. "If we could eliminate all intracranial hemorrhages, it would be worth it," he says. Leigh is now analyzing data from patients who got other treatments for stroke outside the typical time window, in some cases many hours after the FDA-approved cutoff for tPA. It's possible, he says, that some people who come to the hospital many hours after a stroke can still benefit from tPA, the only FDA-approved treatment for ischemic stroke.